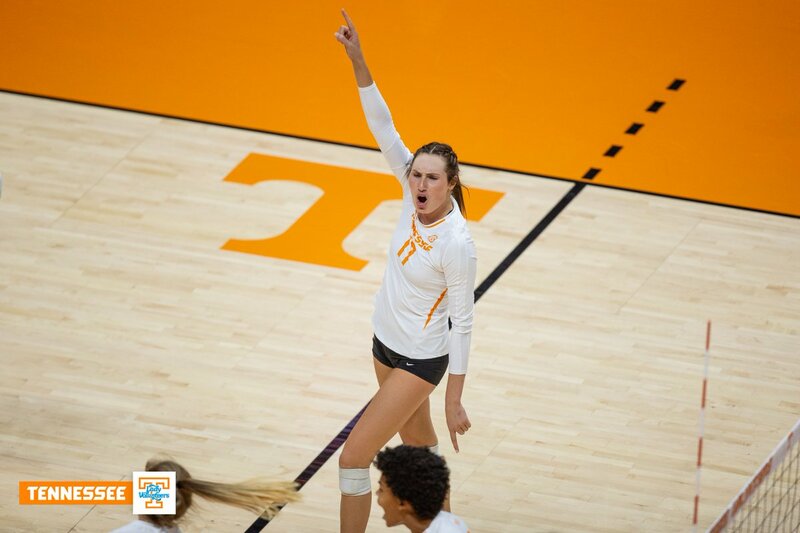 Tennessee’s Tessa Grubbs averaged 5.38 points and 5.13 kills per set and posted a .323 hitting percentage over two conferences wins this past week. She tallied a career-high 27 kills in the come-from-behind win at Georgia, with 15 kills coming in final three sets, including five kills on eight swings with no errors (.625) in the fifth set. Tennessee’s Addisyn Rowe averaged 1.25 blocks per set in a 2-0 week for the Lady Volunteers. She registered a career-high eight blocks in the victory at Georgia on Sunday, with her final block assist ending the match at 15-11 in the fifth set. Auburn’s Mica Allison averaged 12.88 assists per set over two SEC wins as she guided the Tigers to a .306 hitting clip over eight sets. Auburn’s Tatum Shipes led the Tiger offense with her averages of 4.56 points and 4.12 points per set. She recorded career highs of 21 kills and six total blocks in the win over Ole Miss on Friday night. CONGRATS to these 2⃣ freshmen on their @SEC weekly honors! Missouri’s Andrea Fuentes averaged 12.75 assists per set in a pair of conference wins. She closed out the week with a career-high 61 assists in the five-set win over Texas A&M, marking the first time a Tiger setter had eclipsed 60 assists in a match since former All-American Molly Kreklow (Nov. 24, 2010 vs. Oklahoma). For the second-straight week & third time this season, redshirt freshman S Andrea Fuentes is honored by the SEC office. CONGRATS Andrea!